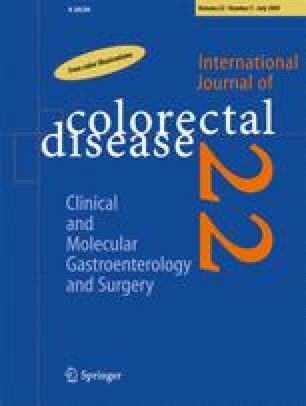 The prognostic impact of isolated lymphovascular invasion (LVI) after radical resection of rectal cancer is controversially discussed. However, it could be relevant to decide for an adjuvant treatment. The aim of the analysis was, based on the data of an observational study, to determine the prognostic relevance of the isolated LVI. Patients after radical resection of rectal cancer with no hemangioinvasion were subdivided in three groups: I—no LVI, no lymph node metastases (LNM); II—positive LVI, no LNM; III—positive LNM. Five-year local recurrence rate, distant metastases-free and disease-free survival were determined uni- and multivariate. Patients, n = 846, were studied (I, n = 471; II, n = 75; III, n = 300). The univariate comparison between the groups revealed the following 5-year results: local recurrence rate: 9.4 vs 10.0 vs 14.0%; distant metastases-free survival: 84.1 vs 82.5 vs 49.3%; disease-free survival: 83.2 vs 80.7 vs 45.5%. The differences between groups I and III were significant, but not between groups I and II. The determined higher disease-free survival rate in group II vs group III was significant (P = 0.041), but the differences in local recurrence rate and rate of distant metastases did not reach statistical significance. The multivariate analysis revealed no impact of the isolated LVI on the oncological outcome. The isolated LVI has no independent prognostic impact on the local recurrence rate and long-term survival after radical resection of rectal cancer. Based on this finding, no indication for an adjuvant treatment in these patients can be derived.